Original era manufacture. 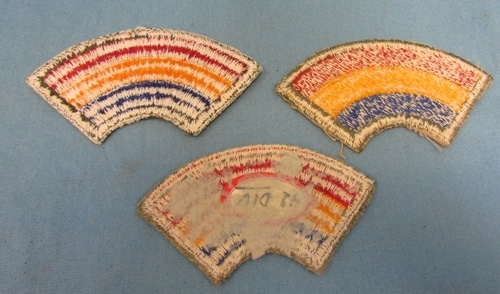 Cut edge, cotton embroidered patch which does not glow under a UV light. Several in stock, minor details will vary, sold by the one. All. 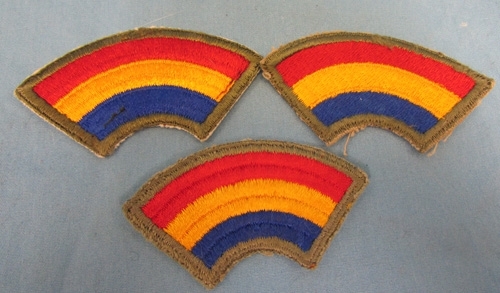 near newThe42nd Rainbow Division, served inEurope during WWII, credited with 106 days of combat, and suffering the loss of nearly 4,000 casualties.